Excel schedule template was created to show your excel schedules graphically in a simple way that is easy to understand. The template was created in PowerPoint to provide much more styling and design flexibility than an Excel table. It is also easy to share and present to colleagues, clients and executives. Clients and executives don’t want to see lists and tables in business communications. They do want to see visuals that are easy to understand, simple to read and fresh to look at. Creating an excel schedule is a complex and time consuming task. It requires a high level of Excel proficiency and it is difficult to share. 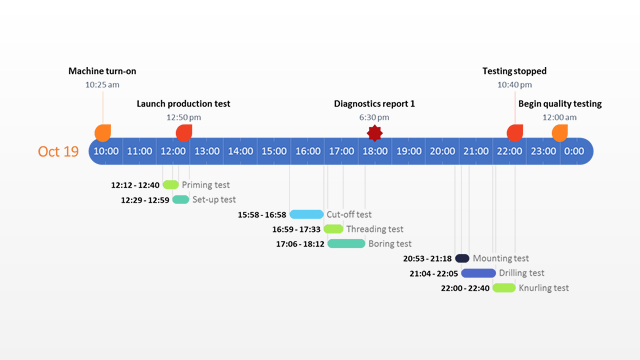 Excel is a powerful tool for creating spreadsheets that track project and task scheduling. It is quite easy for project managers to create tables with due dates of milestones or the start and finish dates of tasks. It is also simple to change these items in Excel as the schedule changes. However Excel is not a presentation application and transforming those tables into charts and visuals that are suitable for client and executive communications is not easy. The excel schedule template was created for people who manage small projects from Excel. 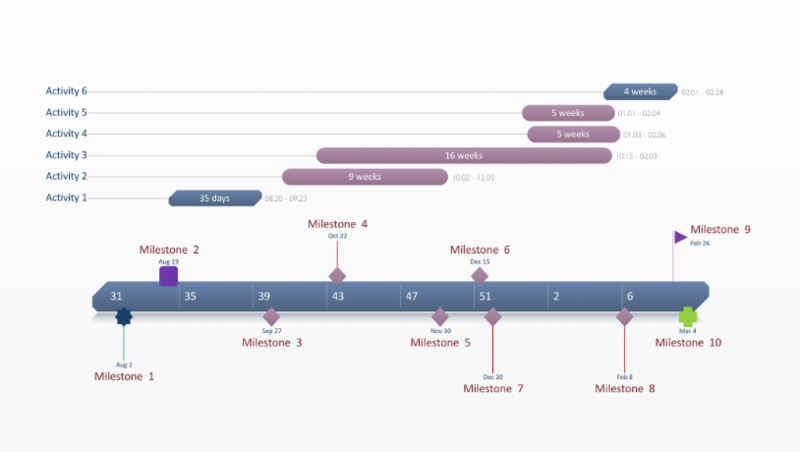 It is a graphical chart that will help keep track of the critical milestones and key tasks on the project schedule. Since it is a visual template, it can be used in executive reviews, proposals, planning documents, project charters, status reports and score cards. 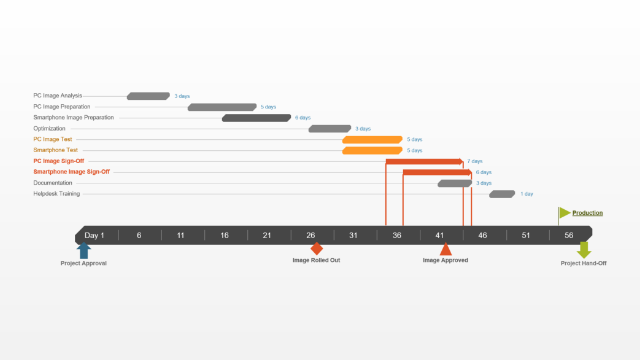 Office Timeline Plus is an excel scheduler tool that plugs-in to PowerPoint. The scheduler automatically converts Excel tables into beautiful PowerPoint visuals. 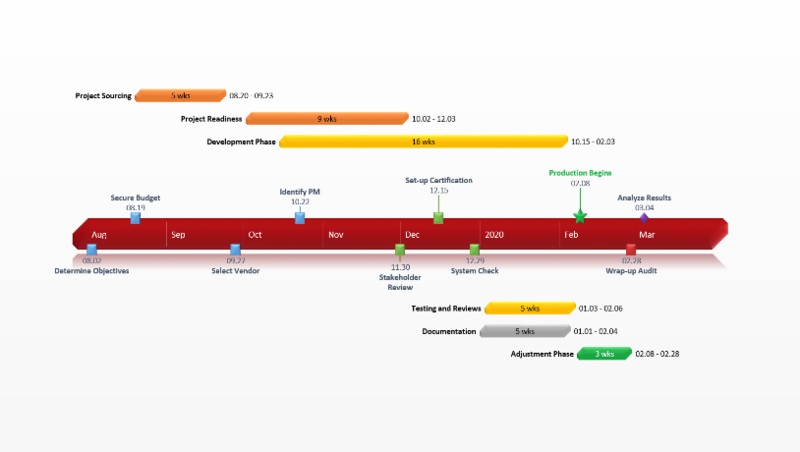 This excel template was created with the plug-in and it can easily be revised using Office Timeline. 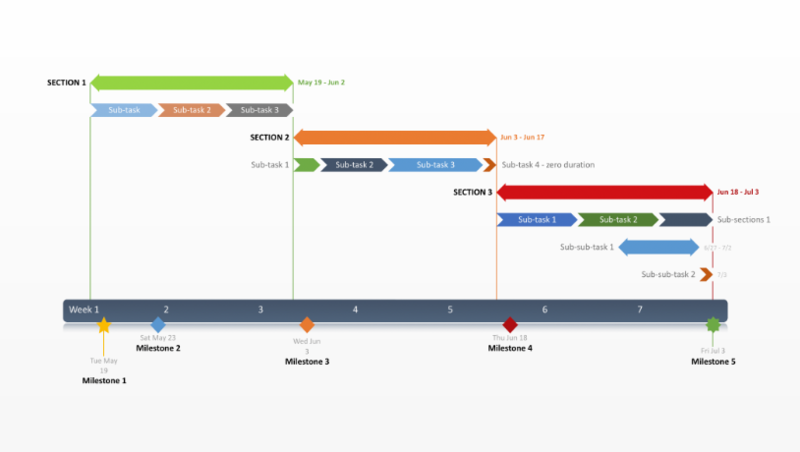 The Office Timeline Plus scheduler imports Excel schedules right into PowerPoint and instantly transforms them into professional looking schedules. If your excel schedule changes, Office Timeline can instantly revise your slide so you always have a current version for important communications.